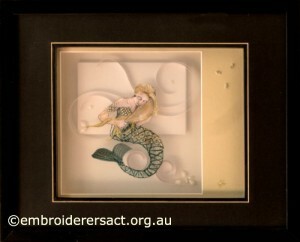 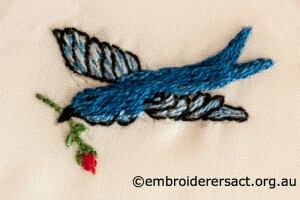 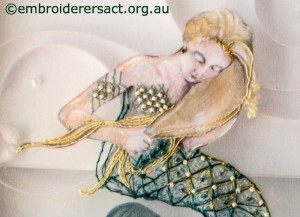 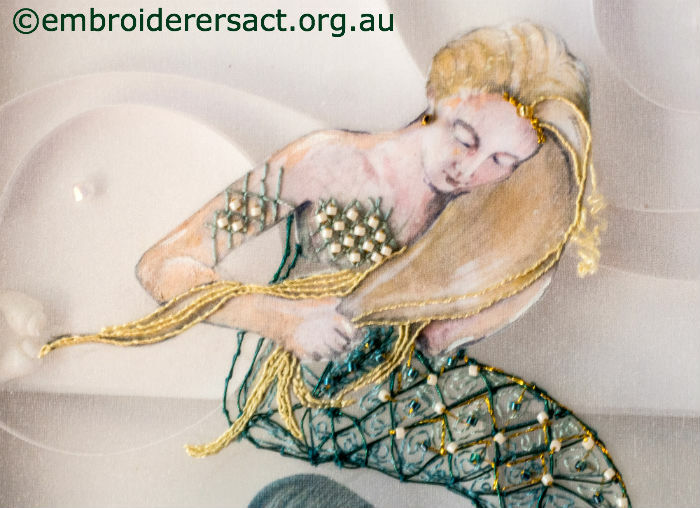 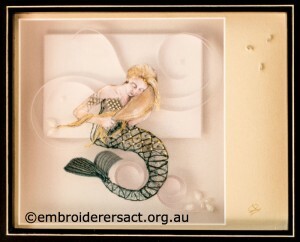 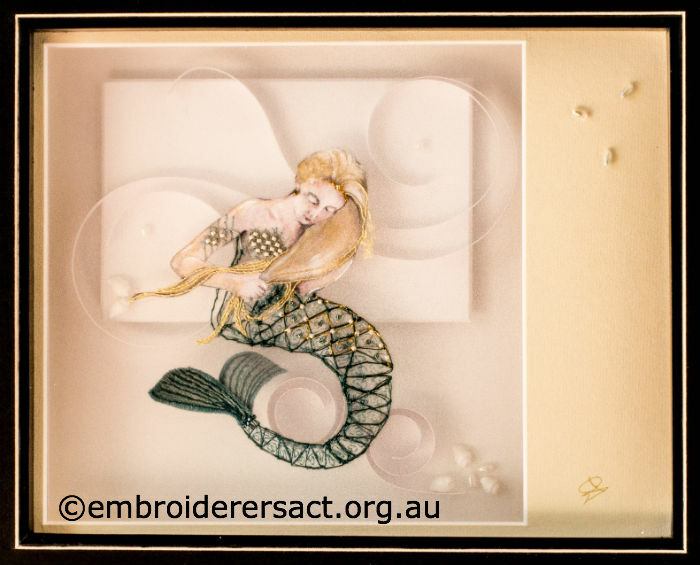 In this post I’m going to share an exquisite and beautiful Mermaid stitched by Agnes Sciberras. 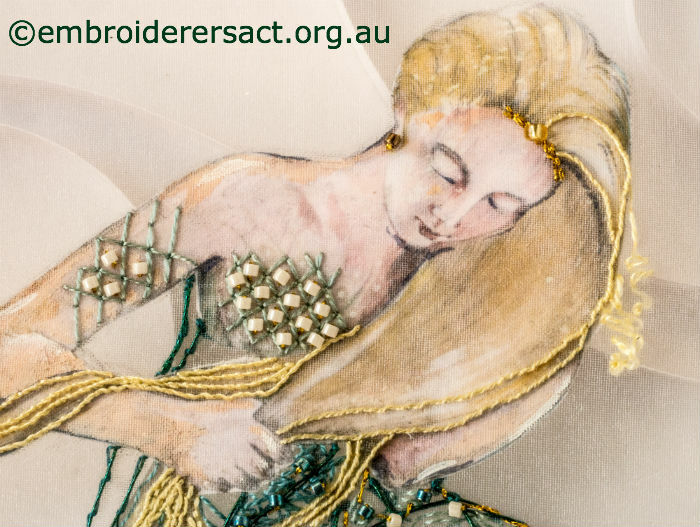 It’s a lovely Gary Clarke design and the ethereal quality of the work is created by the layers of objects, embroidered organza and embellishment. 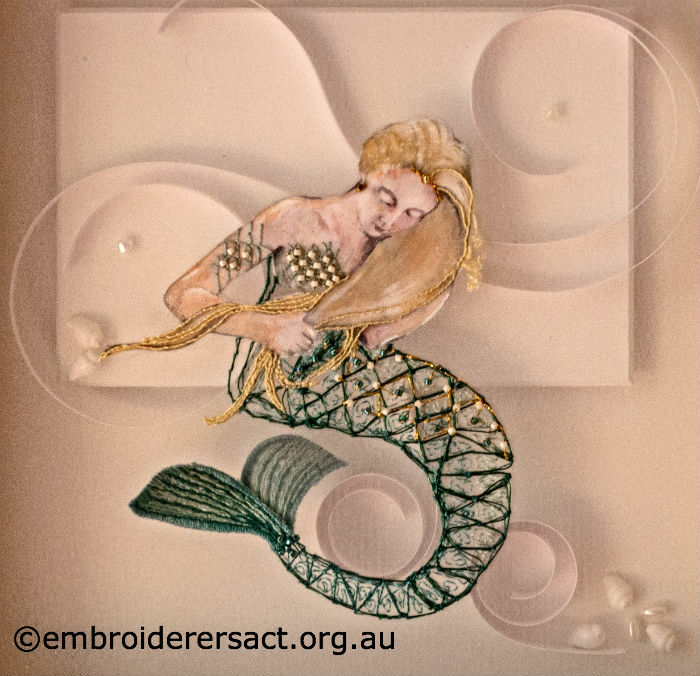 The quality of the design, stitching and photography mean that this Mermaid needs no words from me. 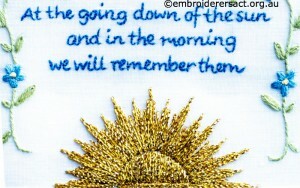 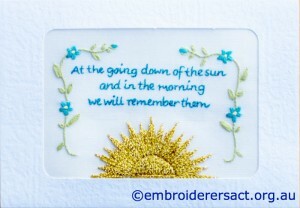 Thank you so much Agnes for sharing this work and Stewart (Bath) for the great sequence of photos. We’re so lucky to have such talent in the Guild and to be able to showcase the design of an awesome Australian designer. 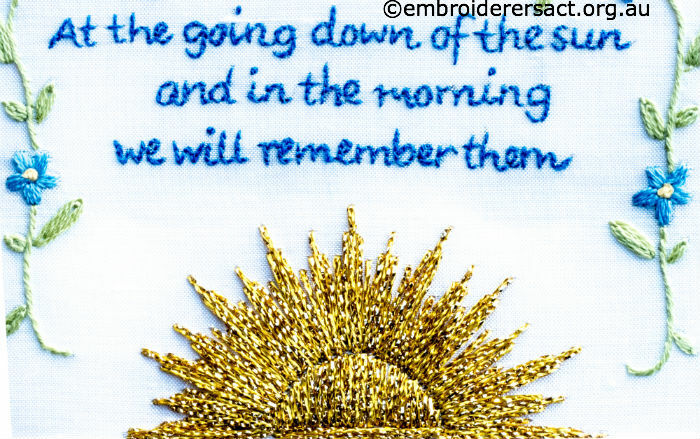 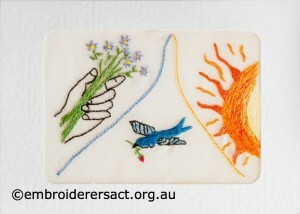 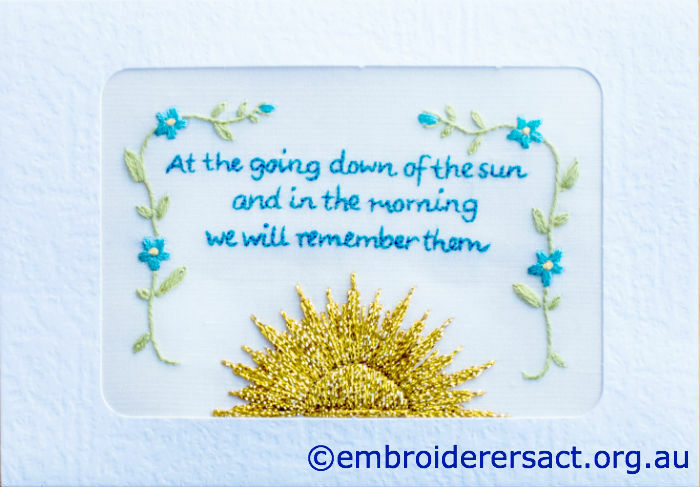 We’re going to progressively share with you the rest of the 45 fantastic postcards made for the Challenge – Stitching Love and Hope.